In the midst of the heatwave, something wonderful happened! Almost a week ago we ventured to the meadow in the early morning (because it was the best time to beat the heatwave!) with our coffees in hand, and Maisy, and sat watching the view. 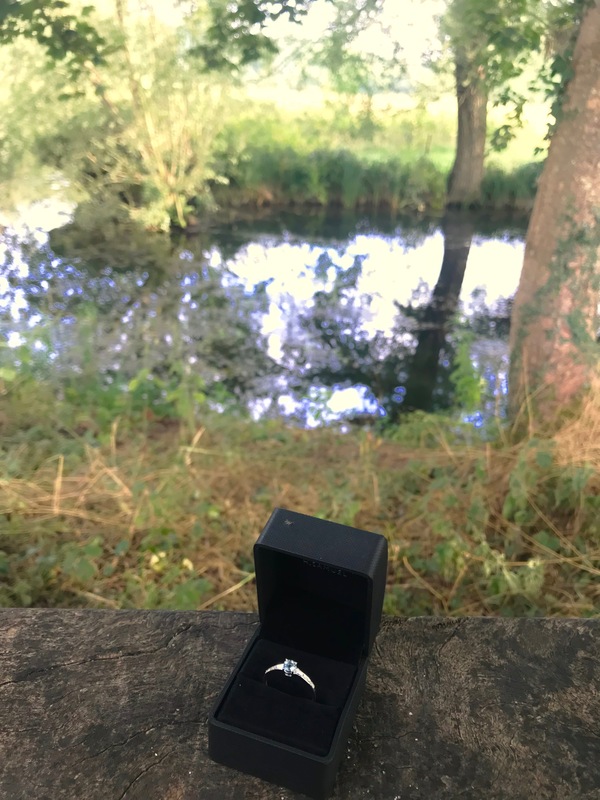 In the quiet, in the very place where we had our first ‘date’ almost six years ago to the day, William proposed and I, absolutely of course, said YES! This will be a story we will always tell because even today somewhere on that meadow is a tiny little diamond (I mean little, it was one of the side diamonds and you’ll never find it!) 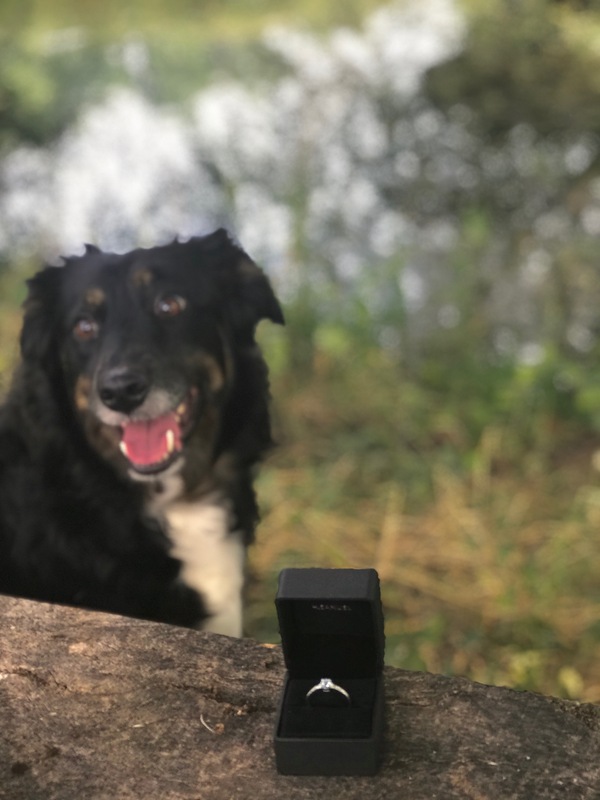 Seconds after putting the ring on my finger we both looked down and realised that one of the small diamonds on the side of the ring had vanished… We both looked at each other in shock, then down at the dog (no she wasn’t interested, she faced the opposite way the whole time) and then we contemplated the tiny sugar crystals on the bench that we had shaken into our coffee. No way… short of dissolving each one until we were sure, it was impossible! 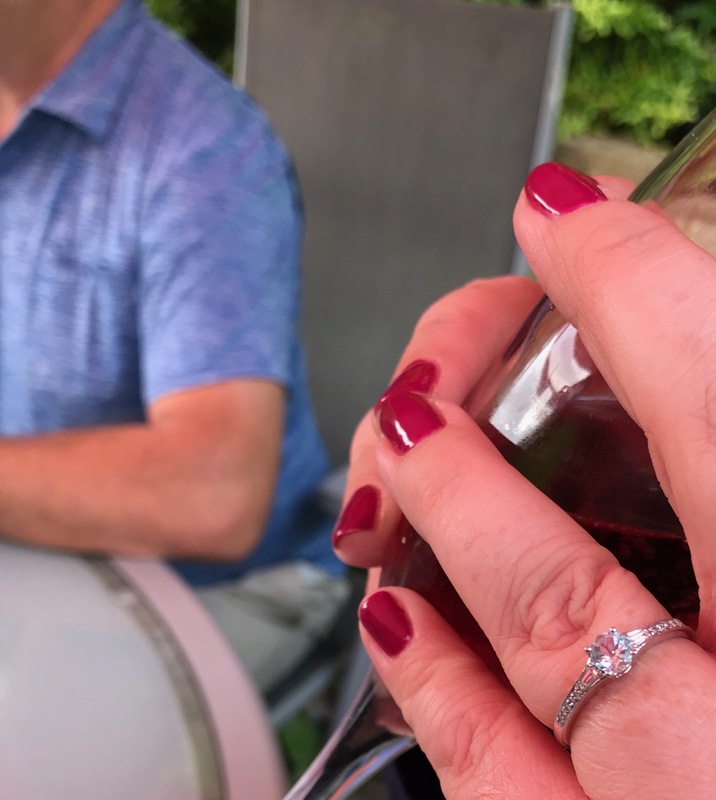 Alls well that ends well, another ring is on order and I am not parted from this one just yet – but what a story we have for the next heatwave! In true organised form (me), we launched ourselves into searching, planning, hunting down venues and in general, just thinking of ideas and celebrating with family and friends – and it’s all very exciting. 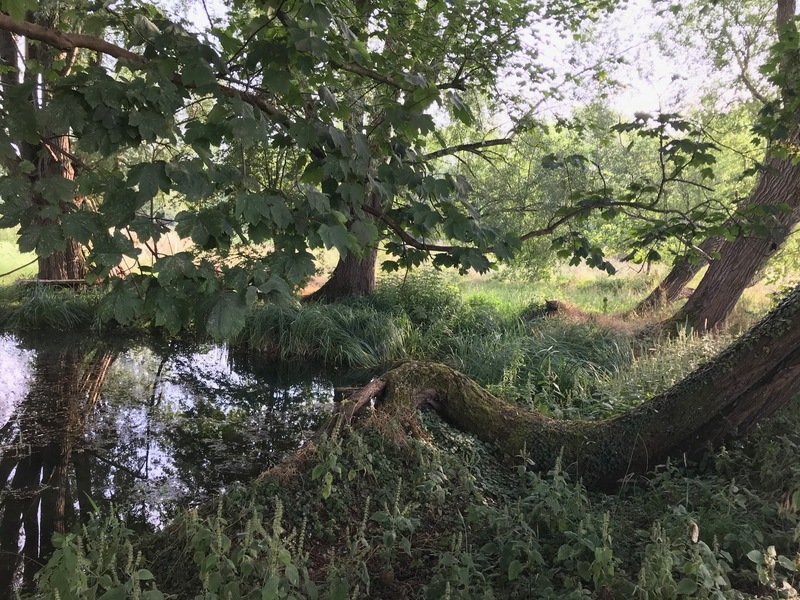 standby for more news on that pesky heatwave, but I couldn’t get away without blogging for so long and then NOT coming back with the big news first… ! Congratulations! 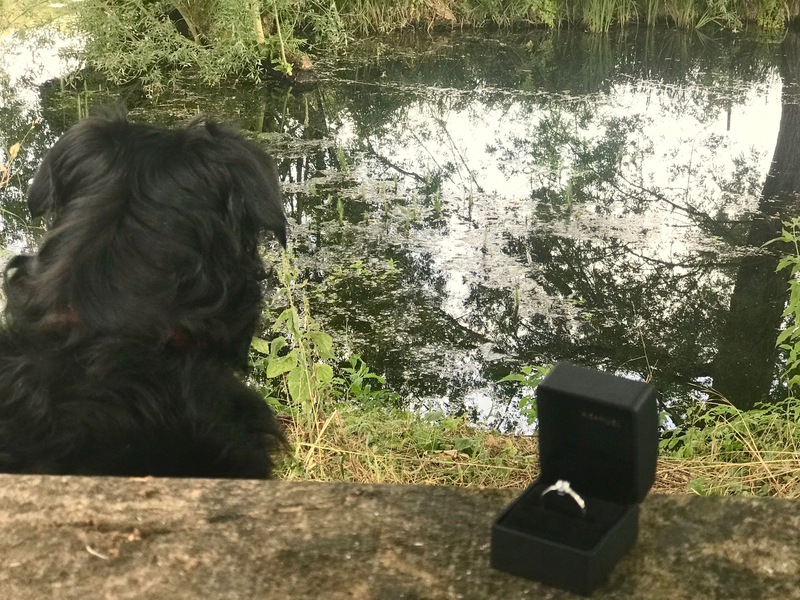 That’s wonderful news, and what a beautiful place for William to propose!